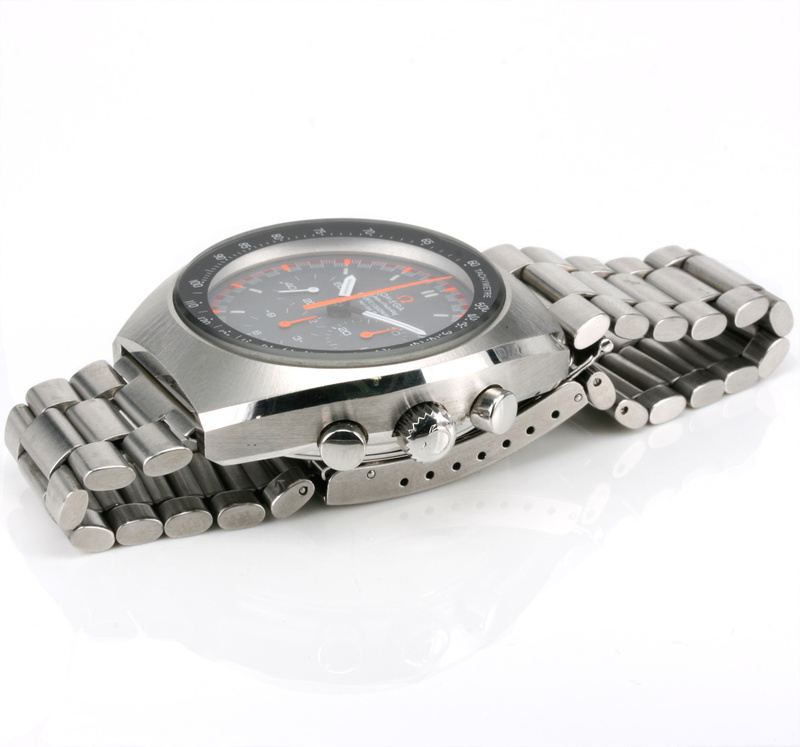 Product code: W581 Categories: Sold Items, Sold Omega Watches. Easily one of the most iconic watches by Omega would have to be the Omega Speedmaster and here is a Omega Speedmaster Mark II reference 145.014 that is in spectacular condition. Dating from 1970 this model Omega Speedmaster has the highly sought after Omega Speedmaster “racing dial” with red and orange markers and centre sweep hand and looks spectacular on the wrist. Measuring 41mm across plus the Omega crown and pushers the case is in incredible condition with the radial finish which is so often just polished off today and takes away that great look to it. This is such a great looking Omega watch on the wrist thanks to the dial and condition of the case and will have you admiring it for hours. 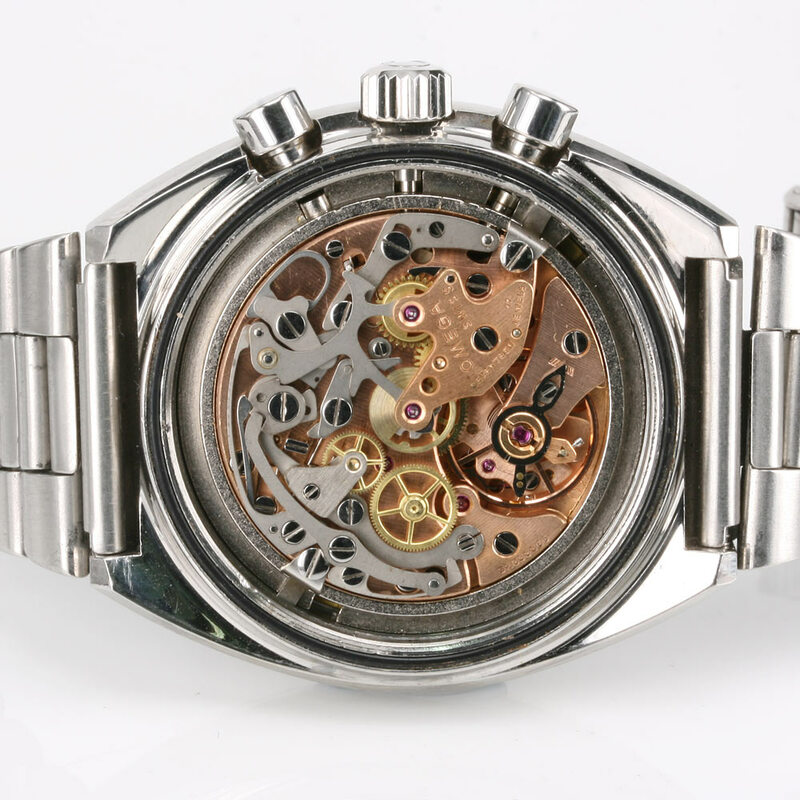 Fitted on the original Omega band that is also in great condition, inside is the highly reliable and accurate 17 jewelled manual wind Omega calibre 861 that has been fully serviced and comes with our twelve month warranty. There is no doubt that vintage Omega watches have become highly sought after and this vintage Omega Speedmaster Mark II with this dial is certainly no exception to this.